Welcome to part 2 of my overview of Halloween-themed novelty songs. If you missed part 1 you can see it HERE. Before I get down to my recommendations let me warn you about buying Cd’s like this. When you see Halloween Cd’s in stores ALWAYS look to make sure that the songs are by “original artists”. Many times these Cd’s available in major retailers such as Wal-Mart and Target feature popular Halloween songs but done by people you have never heard of. If they don’t list the MONSTER MASH as being sung by Bobby “Boris” Pickett then guess what, it’s not! Even if it says by “various artists” it is probably done by artists you have never heard of. That’s the reason so many of these Cd’s cost so little. All of the Cd’s I present here feature songs by the original artists, unless noted otherwise. 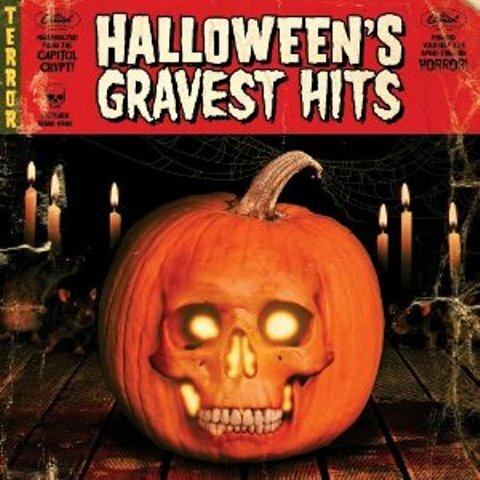 First up is an interesting little CD called HALLOWEEN’S GRAVEST HITS, released in 2009 on Capital Records. This CD not only features a really cool looking cover but it also features a nice selection of Halloween party tunes AND sound effects! There are a total of 30 tracks, 12 of which are songs. One complaint about this disc is that MONSTER MASH is by Don Hinson and the Rigarmorticians and not Bobby Pickett. One nice rarity on this collection though is THE LURCH, featuring Ted Cassidy who actually played Lurch in THE ADDAMS FAMILY television show. Now before you purchase this CD, please keep this in mind! On Amazon they have this disc for sale as an MP3 expanded version, which features 46 tracks and only a few of them are sound effects! Some songs of note are SCARY MONSTERS (AND SUPER CREEPS) by David Bowie and D.O.A. by Bloodrock. I wish I had known about this MP3 release before buying the standard cd! 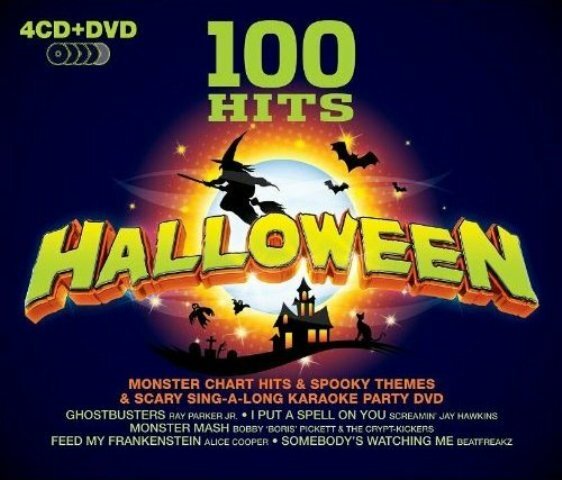 This CD is not a Halloween CD but it does feature one song of interest, “MONSTER RAP” by Bobby “Boris” Pickett. This song is an updated version of the MONSTER MASH and is a must have in any collection! 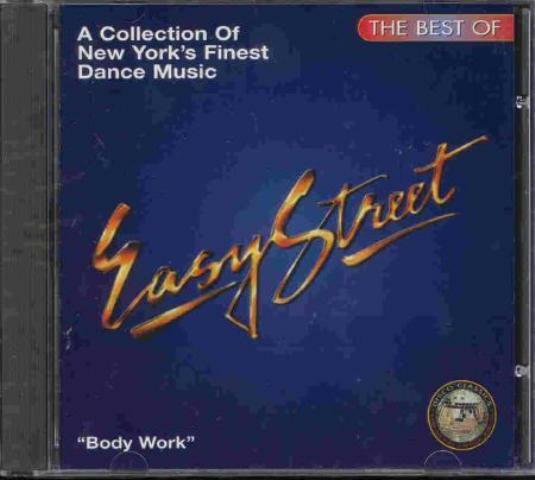 Thankfully this CD is relatively cheap because it is the only good song on this compilation! 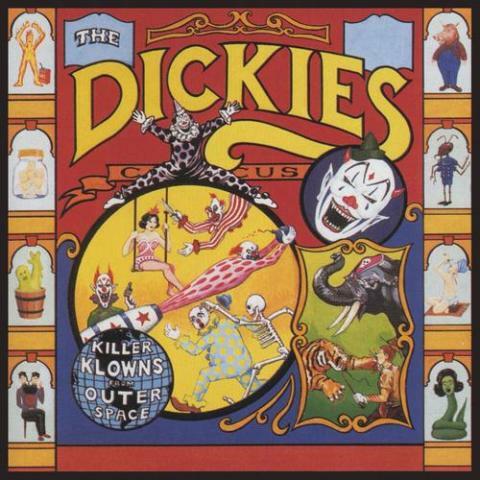 Another must-have in any Halloween music collection is this EP by the Dickies to their song “KILLER KLOWNS FROM OUTER SPACE”, from the 1988 cult classic film of the same name! New copies of this disc are insanely priced but used copies are very reasonable! 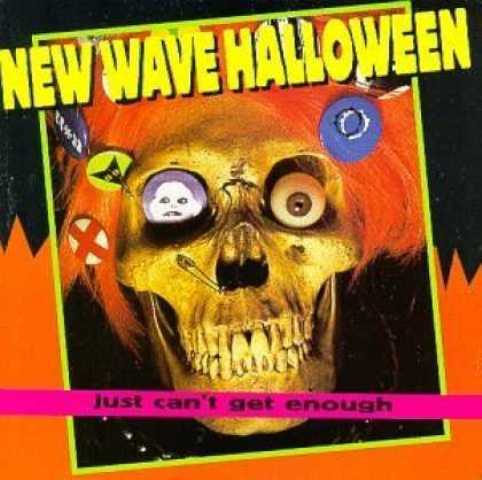 Next up is NEW WAVE HALLOWEEN (1998) on Rhino Records. This fun CD features 15 tracks, including 6 titled HALLOWEEN! 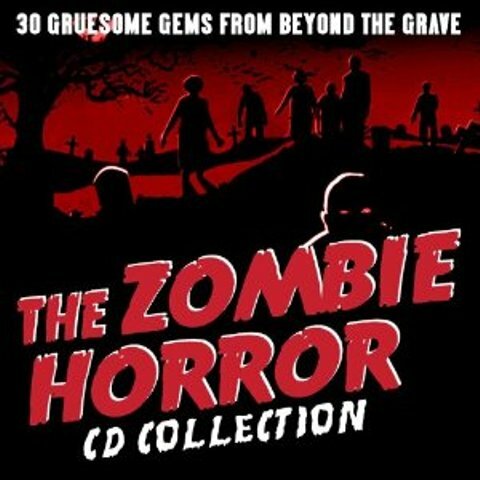 Some great songs on this disc include “THE TIME WARP” from the Rocky Horror Picture Show, “PET SEMATARY” by The Ramones, “THE CREATURE FROM THE BLACK LAGOON” by Dave Edmunds and “CREATURE WITH THE ATOM BRAIN” by Roky Erickson & The Aliens. Rhino always seems to put out the best compilations discs…they are always cheap, offer a nice variety and they always feature original artists! 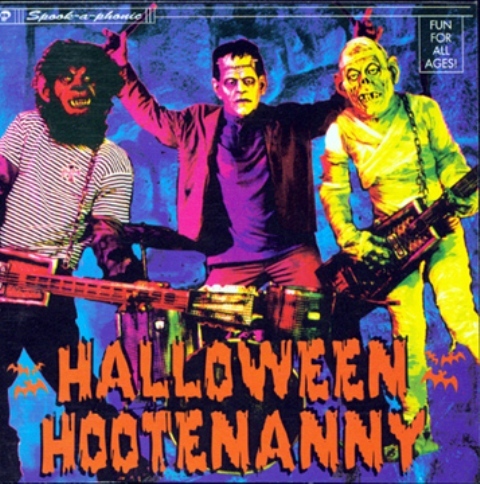 HALLOWEEN HOOTENANNY is an interesting collection put out by Zombie A Go-Go Records (Geffen Records). This 1998 release features 19 tracks, 3 of which are by legendary horror host Zacherley. It’s not often you see his songs on compilation discs! The songs are “HALLOWEEN HOOTENANNY”, “SINISTER PURPOSE” (with Southern Culture On The Skids) and “HAPPY HALLOWEEN”. If you are a fan of Rob Zombie, he also has a song on this disc called “HALLOWEEN (SHE GET SO MEAN)”. The overall appearance of the disc and the artwork are very similar to Rob Zombie’s own releases, making this a very fun package to go through (in fact all of the artwork is by Rob Zombie!). The remaining tracks are songs not found on any other compilations (that I have found anyway) so I highly recommend this disc. This 2007 Wanda Records compilation, entitled HALLOWEEN FRIGHT NITE, is another disc that I highly recommend. 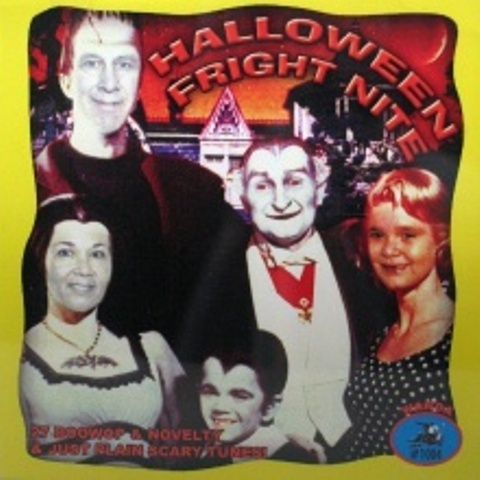 The cover features a picture of The Munsters, with Lily, Herman and Marilyn having other faces then the original cast (only Grampa and Eddie feature Al Lewis and Butch Patrick). This disc features 27 tracks and as far as I can tell they are all by original artists. The only track I question is “THE MUNSTER’S THEME” as the artist is listed as “unknown” though it does sound like the actual theme, and not a re-record by someone else. This collection also features songs not found on any other compilations (an added bonus). Some of my favorite tracks include “THE NIGHT BEFORE HALLOWEEN” (a Halloween parody of “THE NIGHT BEFORE CHRISTMAS”) by Bill Buchanan. Little Anthony and the Imperials sing a fun song called “TRICK OR TREAT” and Jessie Lee Turner has a song called “THE LITTLE SPACE GIRL”. One song that was always a favorite of mine from the Dr. Demento Show is “HALLOWEEN” by Heywood Banks (and it is included here). Another fun song is “TEENAGE BRAIN SURGEON” by The Mad Doctor Cappy’O and the last track is “SPOOKTACULAR FINALE” by Spike Jones And Friends. Buy this disc today!!! 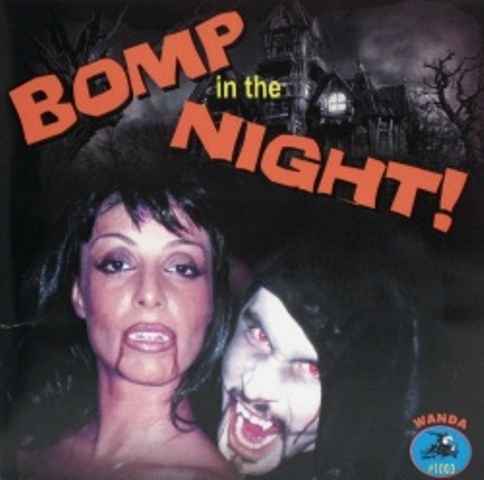 A nice companion collection to HALLOWEEN FRIGHT NITE, also on Wanda Records, is the 2006 release called BOMP IN THE NIGHT. This disc features 30 tracks, again many not found anywhere else. The title track, “BOMP IN THE NIGHT” by Bruce And The Heartbreaks, is a catchy little tune and the Beatles parody “I WANT TO BITE YOUR HAND” by Gene Moss is a must have for any Halloween novelty song collection! Other great songs include “MONSTER SHINDIG” by Danny Hutton, “MONSTER HOP” by Bert Convy, “DRACULA DRAG” by Jekyll & Hyde, “MIDNIGHT MONSTERS HOP” by Jack And Jim, “IGOR’S PARTY” by Tony And The Monstrosities, “HOUSE OF HORRORS” by Merv Griffin and an interesting rendition of The Munsters theme called “MOCKINGBIRD HEIGHTS” (with an introduction by Grampa Munster himself, Al Lewis) by Henry J. Fregosi And The Transylvanians. 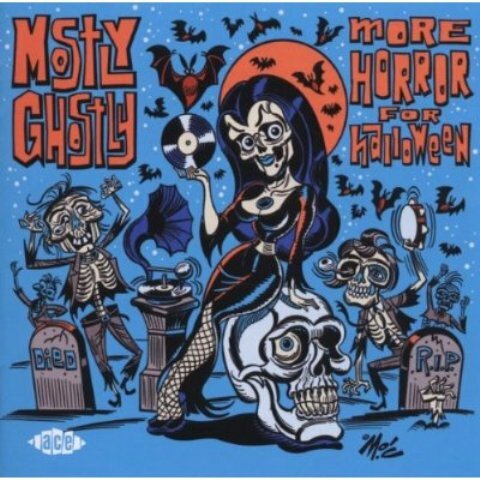 Another must have complilation is a neat import cd called MOSTLY GHSOTLY: MORE HORROR FOR HALLOWEEN. This collection came out in 2010 on the Ace Records label. There are 24 tracks in all and if you can find it, the $18 retail price is well worth it! Though some of the tracks can be found on other compilations, there are enough songs here not found elsewhere to make it worthwhile! Here is the complete track listing: (1) “DRACULA’S THEME” – The Ghouls (2) “TIL’ THE FOLLOWING NIGHT” – Screaming Lord Sutch & The Savages (3) “DO THE ZOMBIE” – The Symbols (4) “HAUNTED HOUSE” – Jumpin’ Gene Simmons (5) “DINNER WITH DRAC” – Zacherley (6) “THE GOO GOO MUCK” – Ronnie Cook And The Gaylads (7) “THE MAD SCIENTIST” – Zanies (8) “THE CAVE” – Chuck Holden (9) “SPOOKY MOVIES” – Roy Clark (10) “THEY’RE HERE” – Boots Walker (11) “BLACK AND HAIRY” – Screaming Lord Sutch (12) “THE HEARSE” – Terry Teen (13) “TERRIBLE IVAN” – Art Roberts (14) “NIGHT OF THE VAMPIRE” – The Moon Trekkers (15) “THE MUMMY” – The Naturals (16) I WAS A TEENAGE CREATURE” – Lord Luther (17) “THE CAVE” – Gary “Spider” Webb (18) “THE CAT” – Rod Willis (19) “ZOMBI” – The Monotones (20) “ALLIGATOR WINE” – Screamin’ Jay Hawkins (21) “MORGUS THE MAGNIFICENT” – Morgus & The Three Ghouls (22) “SLEEPY HOLLOW” – The Last Word (23) “ROCKIN’ ZOMBIE” – The Crewnecks (24) “I WANT TO BITE YOUR HAND” – Gene Moss & The Monsters. COMING UP NEXT: PART 3 FEATURING THE COOL GHOUL ZACHERLEY AND SOME MORE GREAT IMPORTS!!! 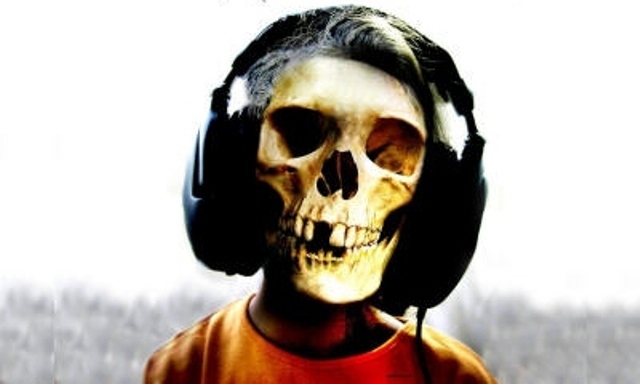 This entry was posted in Halloween, Music to Die For! and tagged Al Lewis, Creature From The Black Lagoon, DR DEMENTO, Elvira, HALLOWEEN, Mistress Of The Dark, Morgus, Munsters, Novelty Songs, Rhino Records, Rob Zombie, Rocky Horror Picture Show, Spike Jones, Zacherley. Bookmark the permalink. ← Little Boots, Big Fun! It’s Svengoolie At The Little Boots Rodeo!